According to the iPhone wiki, a firmware is an IPSW file which contains everything that is needed to run the core operating system, iOS. Today's stroll, I would brief you guys on how to make use of the IPSW files and also give you a full list of IPSW files to download. 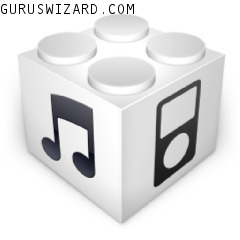 The IPSW Files can be used in both windows and Mac PC, as long as the iTunes work properly. To make use of the IPSW files, simply follow the below procedures. 1. First connect your iOS or iPhone device to your computer. 2. Then, inside iTunes, select the device connected. 3. If you are making use of a Mac computer, simply hold the down “Option” key and click on “Update”. 4. If you are using a windows PC, then hold down “Shift” button and click on “update”. 5. Then select any of the IPSW files that you have downloaded from the Links I would be sharing below, and click “Choose”. 6. Then wait for the iOS device to update. Remember to backup your device to be on a safer side.